Home Unlabelled REVIEW: Bala Mohammed FCT Legacies! REVIEW: Bala Mohammed FCT Legacies! As the lifespan of the present Jonathan presidency gradually inches closer to its end, chroniclers of history will be anxious to start the interrogation (or is it inquisition?) of the administration in terms of whether it has impacted positively or otherwise on both the fortunes of nation and those of the citizenry. It is on this note that I have decided to remove the arrow from their quiver in this piece, in a manner of speaking, by way of unveiling the epochal achievements of the FCT Minister, Sen. Bala Mohammed, lest some analysts fail to do a thorough justice to the issue. Paucity of funds notwithstanding, Bala achieved a lot within the permissible limits of resources available to him. In chronicling these achievements, I intend to be as dispassionate as possible to avoid critics misconstruing my intention as a backhanded attempt to curry favour from the minister. To those conversant with the antecedents of Bala, his journey to the top was not totally rosy. But through deft combination of sagacity and moral discipline, he rose through a combustible mix of obstacles, navigating his way through the labyrinth of life to attain his present position. 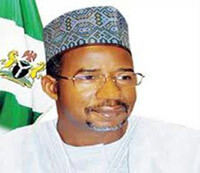 In April 2010, when Bala took over the reins of the Federal Capital Territory Administration (FCTA) as the minister, he met a ministry that was virtually at crossroads, with the staff disillusioned by the devastating effect of maladministration, almost losing faith in the ability of any minister in making any positive change in the situation. Staff morale was at dangerously low ebb. It was under these cloudy circumstances that Bala courageously took over the driver's seat, fastened his seat belt to withstand the bumps and shocks ahead. Analysts agree that Bala indeed stepped into office armed with a ''correcting fluid" with a high preponderance of revolutionary zeal, adorning the garb of a reformer. With a strong passion for turning around the then ailing fortunes of the ministry, unchained it and with frenzy launched it on the path of workability. With honesty and transparency as handmaidens, Bala has been able to impact positively on the morale of staff and the overall fortunes of the ministry, so much so that even his worst critics readily admit that he has become the most legitimizing factor of the Jonathan administration. Not a man given to frivolities, Bala on assumption of office immediately fashioned out multi-dimensional strategies to confront the hydra-headed problems confronting the nation's capital city and the result has been awe-inspiring. So, due to space and time constraints, I shall highlight some of the outstanding achievements of this humble man from Bauchi state, trying in the process, to capture as many of those achievements as possible. The first thing he did was to break the vicious circle of land racketeering by setting a committee headed by Sen. Saidu Dansadau, a development that led to the upgrading and repositioning of land administration in the territory. Others are development of Katampe District, which is being executed through PPP and estimated at over N61, 194, 747, 645.00, with Kagini 1 District costing N52, 609, 879, 284.47, while Maitama Extension District is gulping N137, 454, 626,929.00. The minister has equally recorded tremendous achievements in the areas of agricultural development and railway modernization. In this regard, the first phase of the light rail and Abuja-Kaduna railway projects embarked upon by the administration is nearing completion and is expected to ferry 700,000 passengers daily. Another is the second phase of the Abuja Railway connecting the ever busy Nyanya—Mararaba axis valued at $750m, whose contract was recently signed by the minister under a PPP arrangement. The list of the minister's achievements is endless. It also includes: reconstruction and expansion of the country's most modern 10-lane multiple carriage super highways: the Umaru Musa Yar'Adua (Airport Road) Expressway, and the Outer Northern (Murtala Muhammed) Expressway otherwise known as the Zuba/Kubwa/City Centre highway, as well as the dualization of the Nyanya-Abuja Expressway, all of which have attained 90% completion level. Others are: Resurfacing/Reconstruction of aging Roads in Garki 1 and Wuse 1 Districts; expansion of Kuje-Gwagwalada; Gitata bypass; Karshi – Apo bypass; Sunrise – Guzape bypass; Gwagwalada-Dobi connection and the Bwari Township roads projects; the nearly 1000 percent completed Gurara-Lower Usman Dam road that connects the FCT with Kaduna State at Jere; completion of work on Tanks 1 and 6 with 40, 000 cubic centimeters storage capacity; attraction of foreign and local investments, totalling over $20 billion. And that is not all. In a drive to make Abuja Africa's preferred investment destination, a 37-storey World Trade Centre estimated at $1.2bn (approximately N180 Billion) is being built at the former Bakassi Market, under a Public-Private-Partnership arrangement with the Churchgate Group; the Abuja Town Centre project valued at $2.7bn is also on card with the Chikason Group to bequeath to the nation's capital a world-class 24-hour business district comparable to Manhattan in New York, Oxford Street in London, or the Champ D'Elysee in Paris; the Abuja Millennium City Project, the biggest single private investment in housing in Africa valued at $18bn is being handled by a consortium under the incorporated name, Nigeria Centenary City, Plc; a PPP initiative between FCTA and COHART Group worth $150million to develop Abuja Film Village International (AFVI); a PPP initiative for Katampe District infrastructure with capital inflow of over N61billion and the Land Swap Project ($4.5bn), which has the richest man and woman in Africa, Aliko Dangote and Folorunsho Alakija respectively participating. The FCT will in the next four to five years fully develop at least 10 new districts through the land swap system. The ground breaking for the pilot district of the programme was performed in February by Vice President Namadi Sambo at Waru District. Apart from infrastructure provision through land swap intervention, work is also ongoing in additional six districts through a combination of methodologies including regular contract award system and different forms of PPP arrangements. These include Jahi, Wuye, Guzape, Maitama Extension, Kagini and Katampe. Determined to promote the culture of recreation, cleanliness and ascetic beauty of the FCT, the minister through Otunba Runsewe Committee revived parks and gardens in the territory and also introduced a robust and dynamic traffic control and regulation via doubling the staff strength of the Directorate of Road Traffic Services (VIO) and provision of better equipment. The beauty of the complex network of roads in the FCT has been accentuated with the vast array of major interchanges otherwise known as ''overhead bridges." These interchanges ease the flow of traffic. Completion and commissioning of major interchanges at AYA, Asokoro, Banex Junction, Jahi/Mabushi Link and Gwarimpa 11 Kado/Life Camp Junction were implemented by the Bala administration thereby significantly freeing traffic flow in the city and its environs. Bala equally succeeded greatly in enforcing Abuja's Master plan; substantially raised the Internally Generated Revenue (IGR) profile of the FCT; facilitated the passage of FCT Internal Revenue Bill by the National Assembly; attracted foreign investors in the expansion of the $700million Abuja Botanical Gardens and Parks; review of the concessionaire of the Eagle Sqaure and International Conference Centre to private facility managers thereby enhancing their status, preventing revenue leakages and easing mounting security concerns. Whatever anybody might say, Bala has paid his dues. With the single-mindedness of purpose that he executed his assignment at the FCTA, he has earned a place in the hearts of Nigerians. This conclusion may go against the grain of expectations of some few individuals, but then, it requires a dispassionate heart and deep understanding of administration to appreciate all the transformation witnessed at the FCTA under Bala's superintendence. What really distinguishes this icon from his contemporaries is his great concern for public good and admirable husbandry of scarce resources. So, as the Kauran Bauchi quits office as Minister of the FCT, he is leaving behind an enduring legacy of honour and hard work. I join millions of other Nigerians in wishing him a prosperous future endeavour. * Ochela is a Media Consultant based in Abuja.